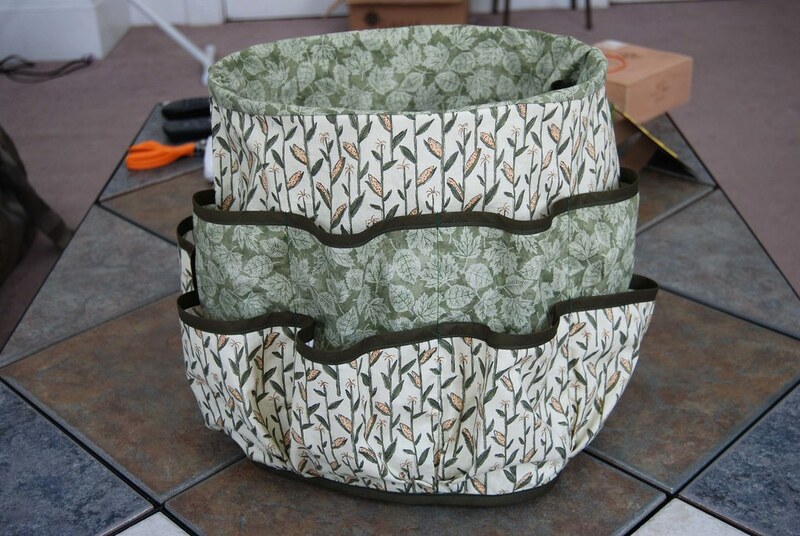 First, a garden organizer. This was much more time-consuming and difficult than I imagined it would be, but I do like the end result!!! It's supposed to be used with a 5-gallon bucket, but since I didn't have one, it's being modeled by my (clean!) trash can! I really love that corn fabric! So many pleats! Three different techniques!!!!! So many pieces! I'm glad she likes it. Also, I made her some sunflower bags. 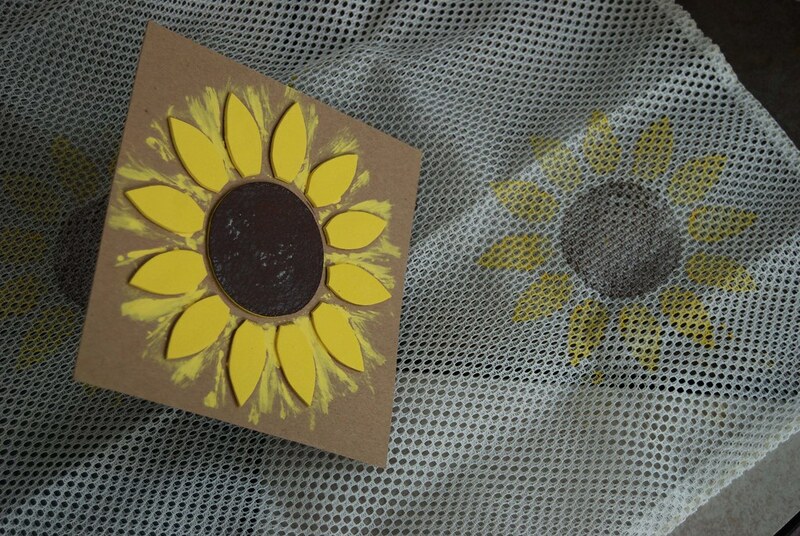 Mom uses them to cover the sunflowers so they can dry without the birds getting the seeds. She hangs the dried sunflower heads out for the birds to eat in the winter. What a great gift, I bet she was thrilled. You are a good kid to make all that for her. Love this! What an excellent gift, and so well done. I love to do personal swaps. PM me! 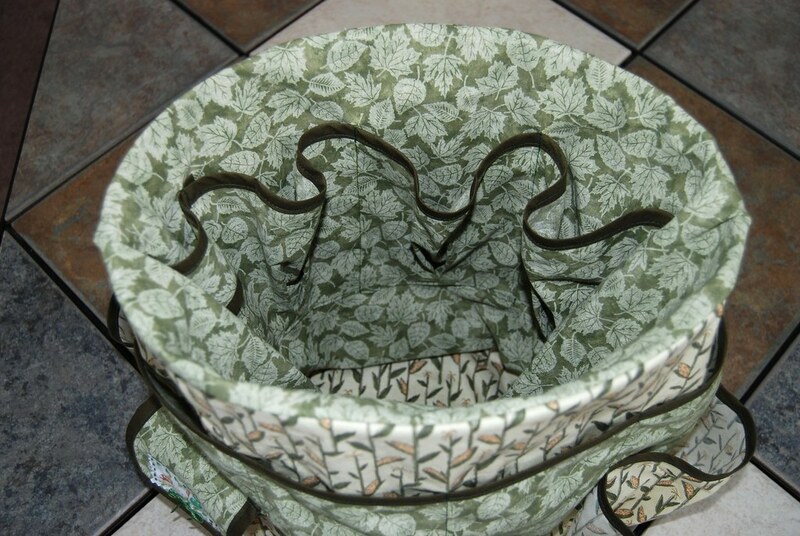 Wow, that is simply the loveliest bucket organizer I have EVER seen! 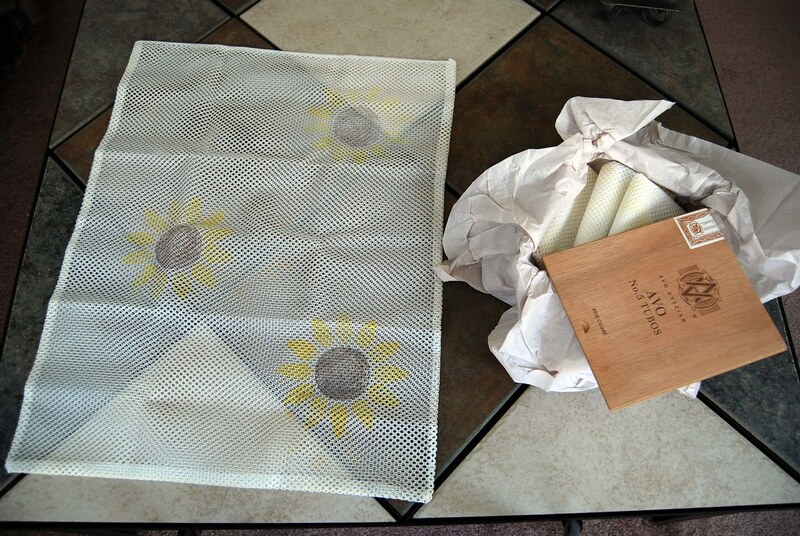 I like the sunflower netting too - very clever. everything looks so great! I love that corn fabric! What awesome gifts!!! They are incredible. I love the little sign inside the organizer with the Mother's Day 2008 thing. Adorable. I love that organizer and appreciate all of the hard work it must of taken. Excellent job!! !...well...what she say??? haha! She loved everything, including the cigar boxes. 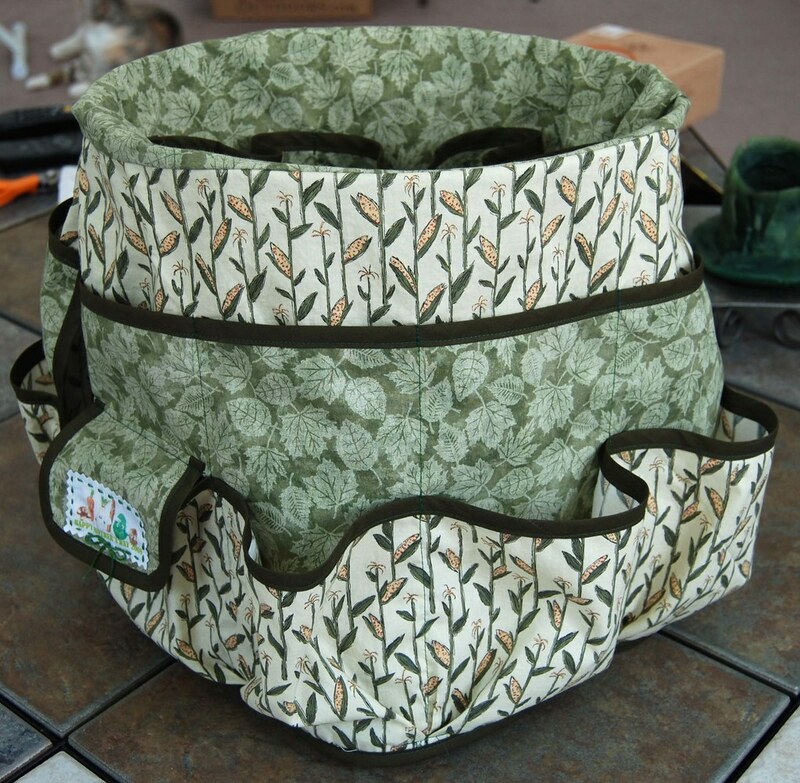 She liked the extra details on the sunflower bags, and she doesn't want to use the organizer because it will get dirty! I told her that after all the work I put into it, she better use it!!! lol She said, "You constantly amaze me. You should open a shop and teach lessons!" So glad she liked everything! The things are just awesome and I understand your Mother completely. I wouldn't use the organizer outside either.lol for the same reason. She's right...you make amazing things. Thanks so much! That was very kind of you to say! 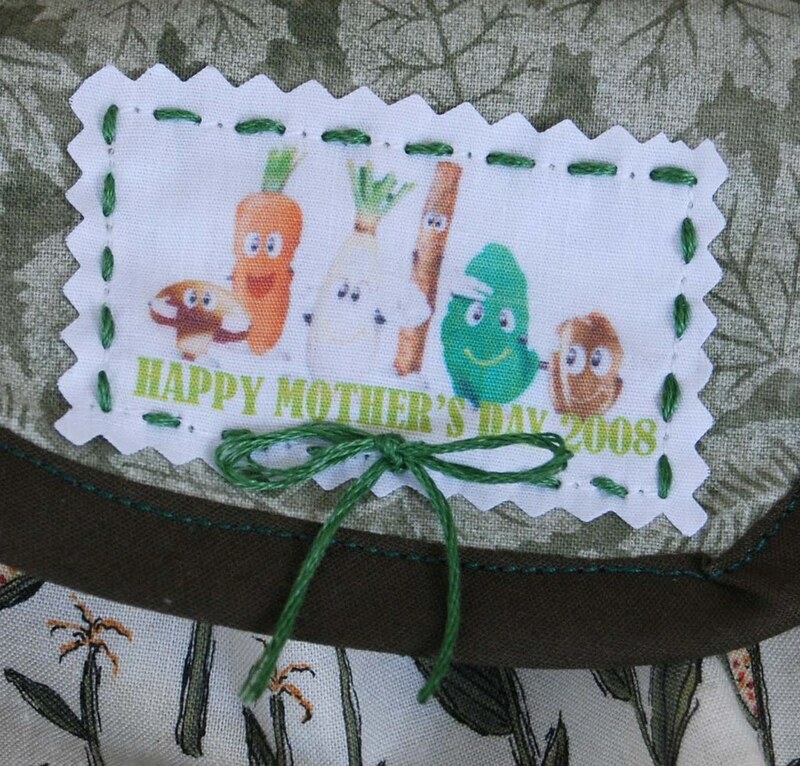 please tell me how you made that mothers day 2008 tag?? All of these items are awesome!! Consider adopting your next pet shelters have some wonderful animals waiting for a home!!!!!! I printed it on printable fabric that I purchased from Joannes. I love the gardening organizer! My mom is a mad gardener too, and would love something like that. Pinning to my DIY gift ideas board.